When this game was first announced, I have to admit, I was honestly surprised. 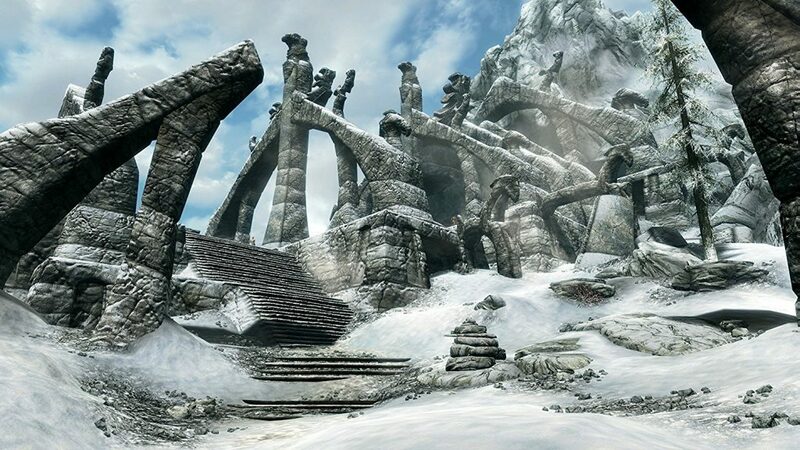 Skyrim has turned 5 years old this year, and is now getting a reboot for the newer consoles. I suppose I shouldn’t be surprised, considering that this is a year of reboots for everything from movies to TV series. But 5 years is a long time to fully explore everything a game has to offer. With a game as large and expansive as The Elder Scrolls V, it’s likely you still have yet to find everything. First and foremost, if you have never played Skyrim before, and you own an Xbox One or a PS4, I absolutely recommend it! If you’ve waited this long to jump on the Skyrim bandwagon, you’ve either been too busy doing other things, or you’ve been living on a mountain, in which case I’d say to ignore this game; you’ve already lived it! 😛 All joking aside, the game has been out for almost 5 years, so it’s very unlikely that you’ve never heard of this masterpiece. But if you are in that group of people that have only just started, then the Skyrim Special Edition is a great addition to your collection. Skyrim is massive, and has hundreds of hours’ worth of content, so I have no doubt that you will get your money’s worth. Coming from Fallout 4, Bethesda Game Studios has worked hard to release bethesda.net, their newest mod platform, on which hundreds of mods are hosted by players. This new system allows user to add modifications without ever leaving the game! This is among the best things about bethesda.net is the accessibility that it gives to console gamers. Xbox 360 and PS3 – Is it Really Worth Buying Again? For those who have already spent hours playing the game on the older consoles, it’s going to be a harder question to answer. You’ve already sunk loads of time into it already; the only big difference is a fresh coat of paint and mods. For console gamers, the biggest advantage to getting the Special Edition is the mods. Even before its official release, Bethesda.net has already taken in numerous mod submissions, some of them among the best I’ve come to love. Despite the initial issues during Bethesda.net’s launch, the platform has proven to be an awesome way to add content to your game without tinkering too much behind the scenes. In the end, it all boils down to your love for Skyrim: how do you feel about playing the same game, but with better graphics? What about mods? If these selling points do not concern you, then buying this game may not be worth your while. For PC gamers, the question remains the same, except that they do not need to worry about buying it again. All owners of the Steam version of Skyrim (and all of its DLC) get the Skyrim Special Edition for free! 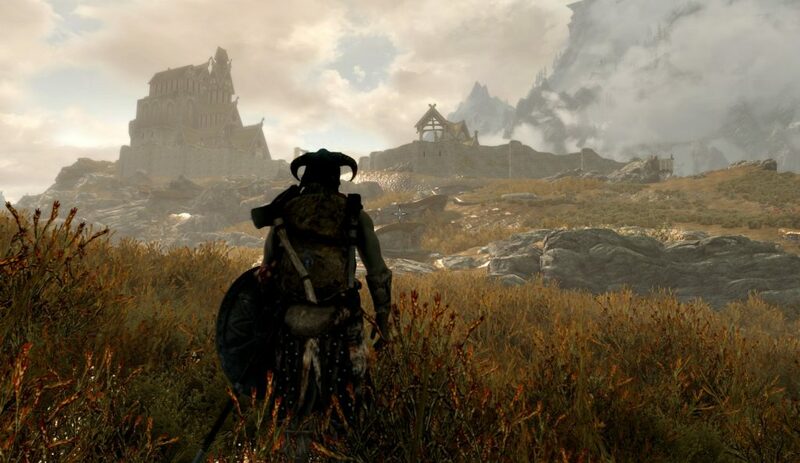 But the truth is, the PC gamers have already had access to Skyrim’s well established modding community for the past 5 years, so this upgrade may not seem very tempting, especially for those with heavily modded systems. I have to admit, I’ve probably spent more time modding my game than I did actually playing it! When a Bethesda game is released on multiple platforms, the main reason I get it on the PC has always been for the mods. Ever since I discovered the Nexus modding community, I have never looked back. I’m sure the same can be said for many other PC gamers out there. If you’ve never played Skyrim before, buy it! You won’t be disappointed! If you own the original on the older consoles, buy it only if the mods appeal to you. If you own the PC version, give it a pass. You’ve probably already have an expansive list of mods already installed. All in all, Skyrim Special Edition is the very same game I’ve come to love from 2011, with a massive graphical overhaul. At full price, you’ll still get a lot of value for your money. While the bugs from the previous game are still there, they are a part of what makes Skyrim… well, Skyrim! I am a big fan of The Elder Scroll’s games. Anyway, due to lack of time, lately I didn’t have the chance to play Skyrim. The last game of the series I played is Oblivion on PS3, and it was awesome. As soon as I get the chance, I will surely buy Skyrim and dive in that magical world again. Skyrim is a big step up from Oblivion in terms of the world you can explore. If you enjoyed Oblivion, I highly recommend the Elder Scrolls V: Skyrim! I’ve always felt that games like this should only ever be played on a PC because you’re just limiting yourself with consoles. Although in recent years, DLC has become an intricate part of console culture, Skyrim is still one for PC gamers but I wouldn’t discourage anyone on a console from picking it up too. Nearly every time I’ve played this game I took a new path through the realm and made vastly different characters. It’s that good, wouldn’t you agree? Playing the game with new characters is an excellent way to explore the many aspects of Skyrim, without getting bored. Console gamers have certainly missed out on the extra features that PC gamers enjoy. PC hardware has always been more powerful than that of consoles, but there will come a time when consoles will be just as capable of handling the loads that PCs use today. Hey there! Your topic about skyrin is very interesting to read. I recently bouaght a ps4 and I’m looking for a game to play. I seen some videos about skyrim and also I heard that it is a good game. After I read your article I found that skyrim is worth it. I’m going to buy this one soon. Thank you for sharing this information. I completely agree. If you have never played Skyrim before, you are making a huge mistake. It is by far the best open world game of all time and all others don’t come close. While the facial animations are poor, nothing else in the game is dated at all. Even the Witcher 3 isn’t as good of an open world as this 5 year old game. Hey good article i did play skyrim and i really liked the game, i was acttually impressed with the game. I havent got a chance to play the new edition yet i wouldnt mind giving it a shot sometime soon. The graphics look amazing on that game i have an xbox one and i may have to try it out sometime!